"He never meant to rob a moving train, nor get gunned down near the President. It really happened." 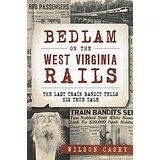 True story firsthand account by America's last moving train robber, Lu Ramsdell, as told to author Wilson Casey. The national press called Lu and his gang "The B & O Zoot Suit Bandits". Other history accounts are dead wrong claiming Jesse James or Butch Cassidy as America's last moving train robber. 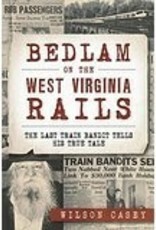 Instead, it was Lu Ramsdell of "Bedlam on the West Virginia Rails." In 1949, two bandits from Youngstown, OH boarded a B & O passenger train from Washington, DC to Detroit. In the West Virginia mountains near Martinsburg, Luman "Lu" Ramsdell and his gang stopped the train to rob and terrorize nearly 150 people on board. They pistol-whipped several and shot at others before exiting the train to next rob a tavern and hijack getaway cars. National headlines likened the event to the exploits of Jesse James and the halcyon days of the wild West. Lu and the gang led authorities on a chase that ended with a harrowing shootout five blocks from the white House. Climb aboard with author Wilson Casey for a firsthand account from the head bandit himself in the true tale of America's last moving train robbery.